The Chadian Political History in Briefs! Tribal bias makes the late Chadian political history after the independence of the country from France in 11 August 1960. The country had been under the French colonization in 1897 until the country gained its independence in the mentioned day. But, it is not only the tribal bias, the composition of religion and clans and the interested of the neighboring states also drive the coups and cause the unrest in the Republic of Tchad. Here are the insights into that history. It is clear that, the political history of the Republic of Chad was affected, indeed by what has happened in the neighboring countries. In fact, the political history in the Republic of Chad has always been influenced by what happens in those neighboring countries at the leadership level, when something happens to shift the political system. For example, when a coup happens in Sudan, we expect a coup in a couple of days or months in Chad, or even Libya. The evidences are the military coups in 25 May 1969 in Sudan and in 1 September 1969 in Libya and the coups in 1989 in Sudan and in 1990 in Chad. Most importantly, what has happened in the Chadian political history reflects that it has happened for ethnic reasons relating to ethnic tribes in the border between Chad and other neighboring States, whereas many clans has been divided each into two parts between two states. The historical demarkation of the borders has happened to divide the interests of the colonial powers and mark the borders of each of their colonized areas to avoid military confrontation between them. So, the demarkation has divided some tribes in the borders of these states between them. For example, each of the tribes of Eastern Sudan and Western Eritrea has been separated between the two states. And the same thing happened to the tribes between the Sudan and Chad. This means that the demarkation of the border was only for the interests of the colonial powers and not in the interests of the colonized countries. This was also the time bombs the colonial powers hid in many states in the African soil that could explode at any moment after the departure of the colonial powers. All this also means that the instability, whether in the Chadian political history, or the history of other states continued also in the neighboring countries in the Horn of Africa and East Africa since the first day those countries gained their independence. They are still experiencing the results of the colonial policy that has been planned in the past. It is clear that the policies that affect Chad and reflect on the Chadian political history, affect Sudan and other states since then until today. Many tribes had split between more than one state because of colonial demarkation of the borders. It also means that any of these tribes had no any political choice to preserve the unity of the clan. It is fact that leadership interests in those tribes have also played a role to separate a given tribe between two tribal leaders (sheikhs) each of which has conspired against his tribe to work with the colonial power that supports his interests in the leadership. Religion has also been used in this division, although this did not succeed, for example, when the colonial powers decided to divide Eritrea between Sudan and Ethiopia. That plan was based on the Christian-Islamic architecture of Eritrea and thus the colonial powers decided to add the Muslim tribes to Sudan, based on its Islamic majority and the Christian tribes to Ethiopia based on its Christian majority. Such policies have affected the Chadian political history, which remained in orbit of tribe and faith since the 1960s. And the tribes on the border between Chad and Sudan raises many political problems in Sudan and the rest of the Chadian political problems. As there are clans between Chad and the neighboring African States and tribes in its territory with Libya, so this raises political problems between those countries. But, it turns out in the Chadian political history that each of the political regimes in Chad and the neighboring countries has been using these tribes against each other. In Chad, this creates intense in the Chadian Political Scene. Some of these states are arming some tribes and organizing political propaganda to use against the others, whenever some political problems happens. So, they use the Chadian Opposition to fulfill their own agendas in the Republic of Chad. The Tribal Complex in the Chadian Political History! Recently, the Chadian political history came into light through the political development of the country in some reports. The following report is issued after the attempt announced by the Senegal to send the exiled former Chadian president, Hussein Habré home. The Senegalese government plans to extradite Hissène Habré, the Chadian president of the dictatorial regime in N’djamena during 1982-1990 to Chad on Monday. Late reports highlight the Chadian political history. The reports say, a Senegalese official told the Chadian authority about his government willingness to send Hussein Habré home. 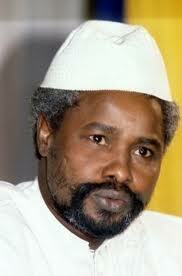 The Chadian authorities have already sentenced Habré to death in absentia. Widows of the victims of Hissène Habré during his reign protested in the Chadian capital, N'djamena lately, bringing the Chadian political history during Habré reign into the lights and calling to send Hussein Habré to Belgium to face charges of crimes against humanity, instead of treating him in N'djamena. Meanwhile, the UN High Commissioner for Human Rights, Navi Pillay studied the Chadian political history and urged the government of Senegal on Sunday to ensure that the Chadian authorities will respect Habré's rights to fair trial and that they will not expose him to torture or death penalty. Pillay said, "As a party to the Convention against Torture, Senegal may not extradite a person to a state where there are substantial grounds for believing he would be in danger of being subjected to Torture,"
She called Senegal to have guarantees from the government of Chad that his rights to fair trials must be sustained before any extradition. "Extraditing Habré in the present circumstances, in which those guarantees are not yet in place, may amount to violation of international law," she added. The Commission of Inquiry that formed after the collapse of his regime in 1990 accuses Hissène Habré of murdering 40,000 and torturing 200,000 Chadian during his 8-years regime, in series of crimes committed by the secret police, the Documentation and Security Directorate (DDS) that ran under his direct command. Hussein Habré controlled the Chadian political history after a successful coup, backed by two international powers against his rebel comrade, Goukouni Oueddei. He is from the Anakaza branch of the Gorane, which is a Toubou tribe in northern Chad. This tribe has presence in Libya, Niger and Sudan too. However, he had a post in the French colonial administration. 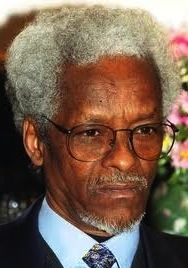 He impressed the French while they were dominating the Chadian political history and while he was working in that post and France awarded him a scholarship in the Institute of Overseas Higher Studies in Paris and he returned to Chad in 1971 after completing a university degree in political science. He later earned his doctorate from the same institute. Paris sent him to calm down the Chadian political scene and to urge Goukouni Oueddei and Abba Siddick to lay their arms, but he joined the FAN in Tripoli. Oueddei was the leader of the Armed Forces of the North (Forces Armées du Nord, FAN) and Abba Siddick was the leader of the National Liberation Front of Chad (Front de Libération Nationale du Tchad, FROLINAT) that was in operation during 1966-1993. Oueddei disputed with Siddick and formed FAN to operate in the northern Chad among the Toubou nomadic herders and dominate the Chadian political history. In 1974, his rebel group attacked the town of Bardai in Tibesti and captured three Europeans to demand a ransom of 10 million francs. The hostages were the German doctor, Christophe Staewen whose wife was killed in the attack, the archaeologist, Francoise Claustre and Marc Combe a development worker, who escaped in 1975 during the intervention of the French government. Claustre's wife whose husband was a senior French government official was not released until 1977. The French ethnologist, Francoise Claustre was held for 33 months in the caves of Tibesti volcanic complex at the north of Chad. Habré disputed with Oueddei over many things, among them was the issue of the European hostages. France took that as a point to support him later. During some changes in the Chadian political history, Habré replaced the prime minister and the president, Felix Malloum and became a prime minister in 1978. However, when his term ended, Oueddei won the elections as president. According to the BBC, the United States supported Habré during his coup in 7 June 1982 to work against the Libyan leader, Colonel Muamer Gaddafi, as he became president amidst a war with Libya over the disputed Aozou Strip. Therefore, the USA and France backed him to expel the Libyans from the strip in 1983. Share the Chadian Political History with your social media and other services. Use the small buttons on the page. Be active and write what you know about the Chadian Political History in the comments form below. If you wanted to read, or write something else about Chad link to Lake Chad and write about your city at Any Beautiful City. Thanks. Comments, or new articles about the Chadian Political History appear at the second section of the page above.